Faculty and students came together on Thursday, March 14 for the spring term’s Board of Trustees meeting. 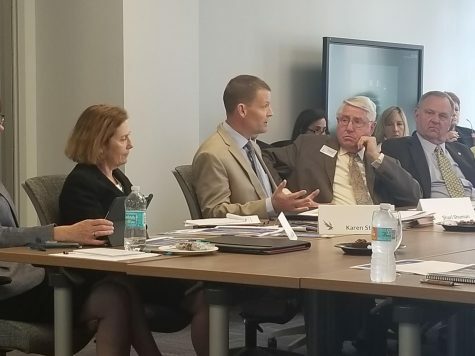 Among the discussions were the Department of Communication’s name change, a new Masters degree, a pledge for UNF’s graduate programs, and reducing student’s textbook costs. The most impactful change the board voted on was changing the name of the Department of Communication to the School of Communication. Click here to read more about the name change. The board also voted on adding a new Masters degree for Brook’s College of Health’s department; an Executive Master of Health Administration. This degree entails partnering up with hospitals such as the Mayo Clinic and will give students an in-depth look into health care. Discussion rose of how important is for health students to know the business sides health care and this degree will offer that aid. The course is set to be majorly online. Associate Vice President for Research John Kantner proposed a program that allows students to take graduate classes ahead of time to speed up their graduate degree. The UNF + Pathway Pledge for Exceptional Students will remove barriers from UNF students who wish to continue college after obtaining an undergraduate degree. It essentially gives students the opportunity to pledge for a graduate degree as early as their freshman year in college. 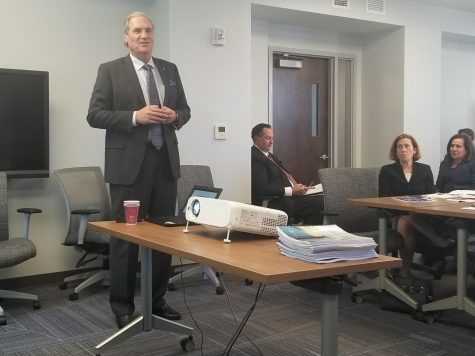 Kantner also announced there will be a 33 percent discount for UNF students who pursue their graduate degree at UNF and students can use their leftover Bright Futures scholarship to help pay for the costs. 25 programs with this pledge are set to take place, but an exact date had not been determined yet. Dan Richard, Director of the Office of Faculty Enhancement, spoke on behalf of the Faculty Association. He went into detail about growing interest among faculty for the Online Educational Resources program (OER.) This program gives students their textbook material and other resources pertaining to the course online. Richard announced that with the 13 faculty member who participated in the program last year, $83,800 in textbook costs were saved with the program. 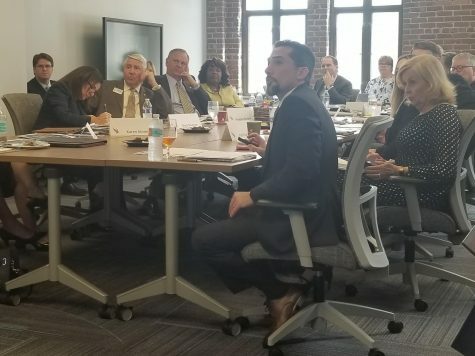 He believes that if the board gets two-third of faculty on board, the program will save students over a million dollar a year in schools costs. Student body President Jenna DuPilka presenting to the Board of Trustees. Current student body President, Jenna DuPilka announced students will now be able to use syllabus banks when creating their schedules for the semester. She also stated her party will be passing out drink safe cards that test students’ drinks for common drugs. She believes this safety measure will allow students to still have fun in college while staying safe. DuPilka also discussed the fees for the school year, which totaled to be an average of $47.53 per credit hour. These fees primarily go to the counseling center, activity and service, and disability and resources. President David Szymanski gives his President Overview to the Board of Trustees. For the President Overview, President David Szymanski announced he is working on addressing One-Stop services and making the syllabi accessible to students prior to classes starting. Szymanski believes by giving students early access to the syllabi, it will make it easier for students to plan their schedules for the upcoming semester. This plan will go into effect in the Fall 2019 term. 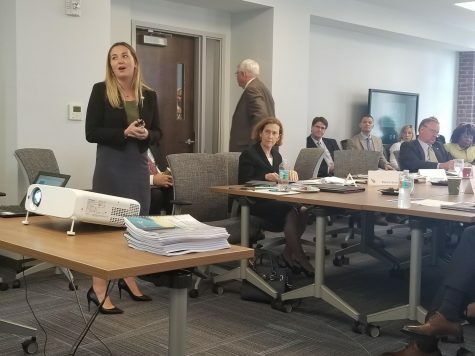 As far as One Stop, Szymanksi agreed it’s ridiculous for a student or parent to be on hold for them for as long as 5 hours. He is hoping to improve One-Stop services so students can get the help they need without having the enormous wait on hold. The Board of Trustees will meet again on March 25 to review the agenda from this meeting.